What colour of lugs & calipers? Leaning towards red calipers (currently black but peeling/chipping) and neo-chrome lugs (currently cyan/teal looking). Any and all suggestions are welcome. Just some additional info is that my Z has a red rear tow strap and that's about it for other colors that stand out. Please do something understated if you must color them. Calling attention to standard brakes with something like red is like doing a coloring book and saying "Look at my Monet." I like the McGard lugs. High quality with double theft protection. The color options are black and chrome. Good quality lugs, no fuss. Since you have Vorks, any generic lugs will do. You can buy several sets on ebay in various colors for a few beans and switch them out whenever. Black, dark blue (assuming they match the wheel), or white for lugs, black for the calipers. Black calipers, black lugs. No red on base calipers please. Red and blue clash anyways. Dark bronze calipers, similar to the OEM Brembo color, doesn't look half bad. You can also go with a similar lug color, or something neutral. 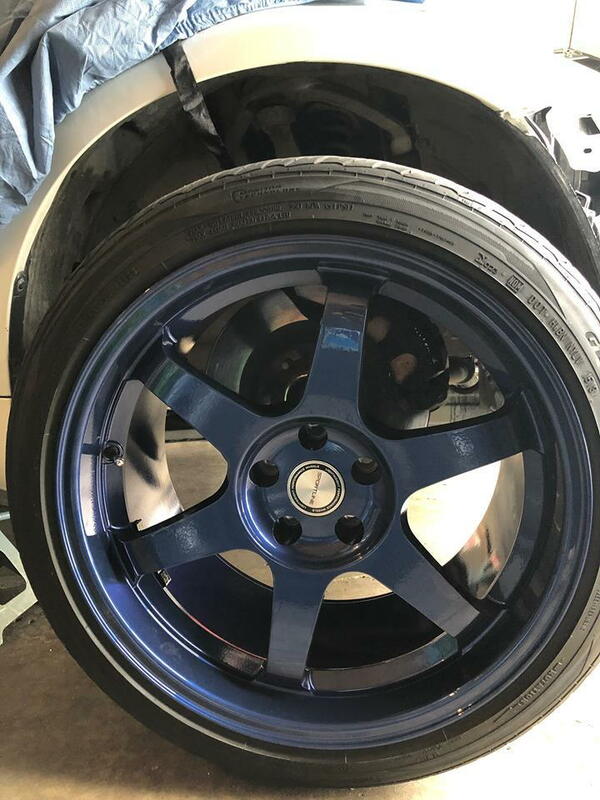 Help Change Colors of these wheels in 2 different colors PLEASE!!! Are there some colors that are "young' colors? ?